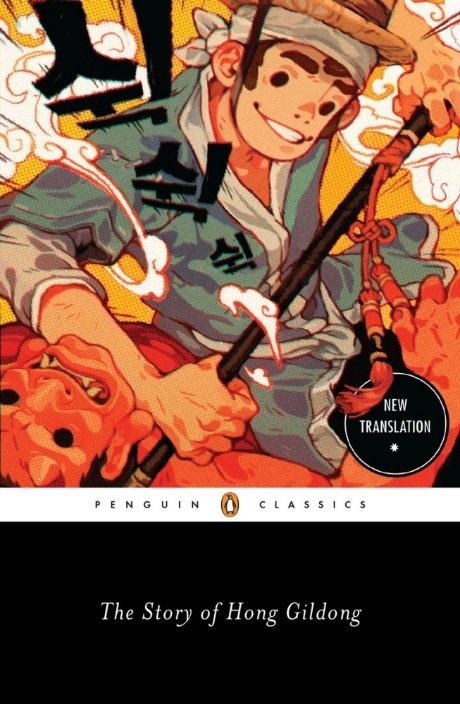 Penguin has done us a favour by bringing us this new translation of a classic Korean tale, along with a useful introduction and notes. Hong Gildong is often described as the Korean Robin Hood – an outlaw with a sense of morality and social justice. But the focus of the tale that has come down to us is more an exploration the options available, within the Confucian framework of hierarchical relationships between king and subject, father and son, brother and brother, to a supremely talented individual who happens to have been born to the wrong mother. Robbing the rich and giving to the poor is not a major theme of the story. Hong’s father, a highly placed government official, is feeling frisky after an auspicious dream which seems to promise him a son with a glowing future. When his wife denies him, he finds outlet for his passion with one of the maids in his household. The result is Gildong, who applies himself diligently to the Confucian Classics and, mastering them, acquires magical powers. But because he is the son of a serving maid he inherits her lowly status and is therefore not permitted to take the civil service exams and is thus unable to serve his country to the fullness of his talents. He is not even allowed to address call his father “Father”. Household jealousies ultimately mean that Gildong has to leave his family and become an outlaw. Because of his strong sense of duty to king and country he is careful to ensure that the victims of his banditry are corrupt officials and others with ill-gotten wealth. Interestingly, his first target is Haeinsa temple, though the escapade serves more to highlight Gildong’s inventiveness in tricking the monks than as a platform for social commentary or a tirade against the temple’s ungodly riches. Ultimately he outgrows Joseon Korea and leaves to establish his own kingdom elsewhere. Gildong is no social revolutionary. His new kingdom is just as hierarchical as Joseon Korea, and his ultimate marital arrangements are not too different from those of his father. But at least he ensures that the sons of his concubines are given appropriate recognition and responsibilities rather than being treated as second class citizens. The attraction of the tale is a rip-roaring story-line of magic and monsters, loyalty and romance set in the context of Joseon Korea. You get all the entertainment of a Hong Kong Wuxia movie along with lessons in the Joseon neo-Confucian morality. The bonus of the introductory essay and notes is also informative in relation to the textual history of the work. There are 34 different (and inconsistent) texts of this story dating from the 19th and 20th centuries – nothing earlier; some printed, some in manuscript. Indeed, before the mid-19th century there is according to the translator no evidence of a published text of Hong Gildong circulating, though a scholar-official called Yi Sik (1584-1647) wrote that his former teacher Heo Kyun (1569–1618) had written a story about him – and that account has resulted in Heo Kyun being traditionally regarded as the author of this work. The text translated here could clearly not have been written by Heo Kyun as it contains references to events that happened after his death. Minsoo Kang’s essay does not discuss the possibility that there could have been a version of the story that genuinely was written by Heo Kyun, that underwent modifications, embellishments and accretions over the centuries until it finally ended up in the form that we see today. Instead, he argues convincingly for a later, 19th century, origin, one argument being that the tale is a crowd-pleasing plot-driven narrative rather than the austere morality tale we might expect from a 17th century scholar-official. The text used for this translation is the one that appears to be the oldest – a handwritten version that is also the longest one. The discussion of the different texts is interesting in itself as it gives us some insights into the publication practices for popular fiction in the late Joseon period. If the tale between these covers is, at core, the work of a 19th century commoner with an eye to making a quick buck from penning a bestseller, he knew his market. This is an immensely fun read and very instructive into the bargain.